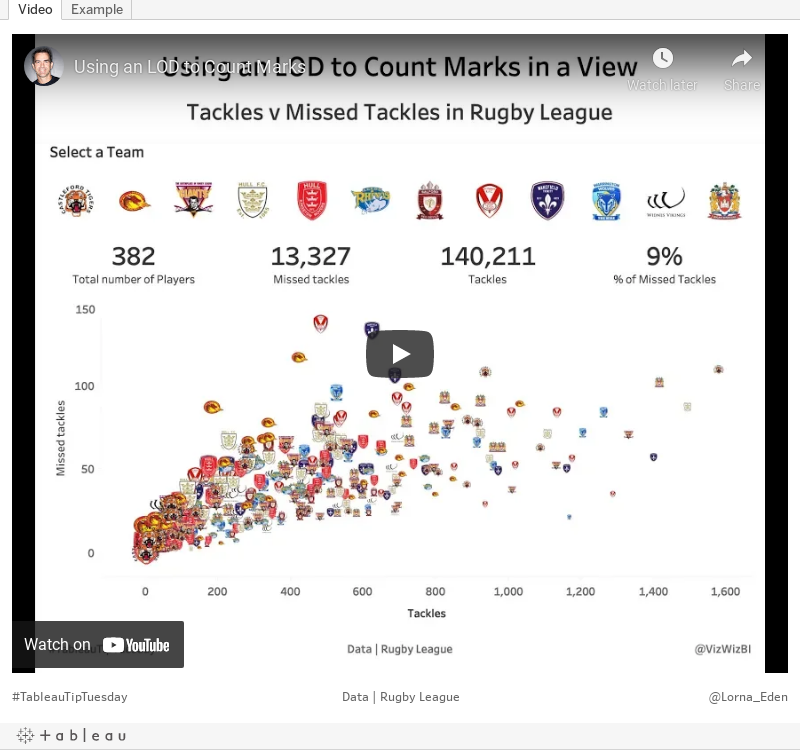 Last week, Lorna showed you how to use the SIZE table calculation to count the number of marks in a view (watch it here). Since there are lots and lots of people that are intimidated by table calcs, I decided to build upon her work and show how you can use a Level of Detail expression to count the marks instead. I also show how to combine multiple, disparate BANs into a single sheet.